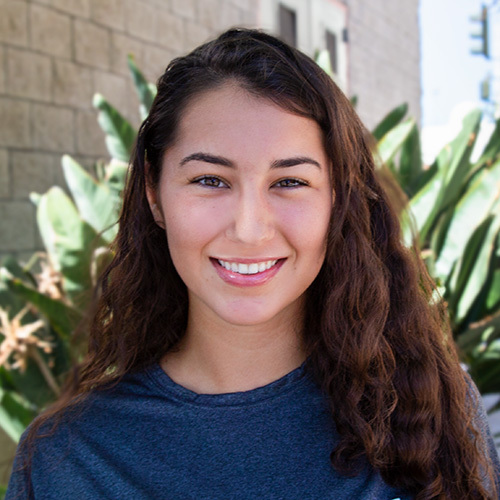 Sofia is an undergraduate student at SDSU studying Marine Biology and Environmental Science. Sofia loves yoga because of its ability to heal the mind, body and soul. Every time she steps onto her mat, she learns something new about herself and world in which we live . Yoga has given her a greater sense of self worth, love and acceptance. Practicing Baptiste Power Yoga in particular has reinforced her belief that yoga is a personal journey to discovering and rediscovering ones inner power. Sofia hopes to share the manys gifts of yoga and inspire others as her teachers have inspired her. She has been a yogi for 6 years. In 2016 she received her Level 1 Teacher Certification for Children's Yoga, in 2017 her Baptiste 200 Hour YTT Certification and in 2018 completed a Teaching Mentorship with one of her favorite studios back home in New Jersey. She is looking forward to meeting you and spreading the yogi love!